Many options are available, and they are tailored to your specific requirements. If you need a replacement tooth while the dental implants are healing, temporary removable teeth or a temporary bridge can be made. If all of your teeth are missing, we can usually modify your present complete denture or make you a new temporary denture. If you would prefer non-removable teeth during the healing phase, temporary transitional implants usually can be placed along with the permanent implants, and temporary teeth may be made and inserted the same day. Depending on your particular situation, some implants can be placed and “loaded” immediately. This means a temporary or permanent replacement tooth can be placed on, or shortly after, the day the implant is placed. Potential Problems | How Long Will The Implants Last? | When Are The Replacement Teeth Attached To The Implant? | How Do I Clean My New Teeth? | What Will Be The Cost? 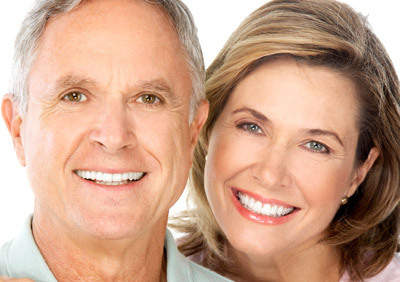 What Are The Potential Problems with Dental Implants? The following websites are provided as a resource for our referring doctors. This page contains hyperlinks to Internet sites that are created and maintained by other organizations.